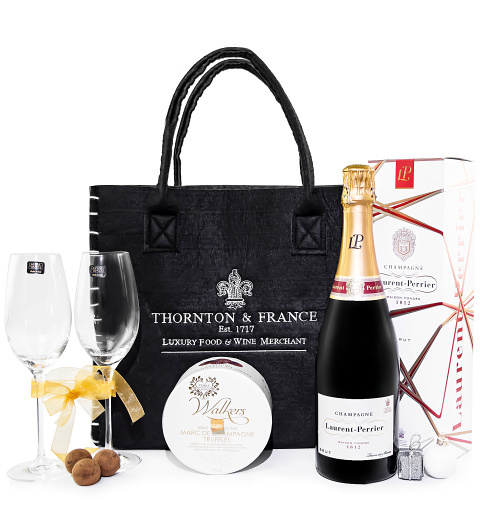 Our 5th Avenue luxury gift is beautifully presented in the prestigious Thornton and France bag with an exquisite bottle of Laurent Perrier Champagne, champagne truffles accompanied with Da Vinci crystal flute glasses. This is the perfect luxury gift to send that is ideal for Romantic occasions, anniversaries and wedding gifts. Thornton and France luxury bag. 5th Avenue is available for UK delivery.